Fixed water charges for irrigators should be waived in areas granted exceptional circumstances (EC) drought status, the NSW Farmers Association believed, reported The Land (26/7/2007, p.15). Malcolm Turnbull MP (Minister for the Environment and Water Resources) answering a question from Tony Windsor MP (Independent) as to whether the minister could guarantee to the people of Tamworth that the upgrade to the Chaffey Dam would proceed, stated that the contribution of $6½ million to the Chaffey Dam augmentation project would improve water supply security for Tamworth and Peel Valley irrigators. The Water Exchange showed a large gap between sell and buy offers. Groundwater trading near Hay in the States Central West was restricted by the Department of Water and Energy to ensure enough water remains available for both users and the environment. 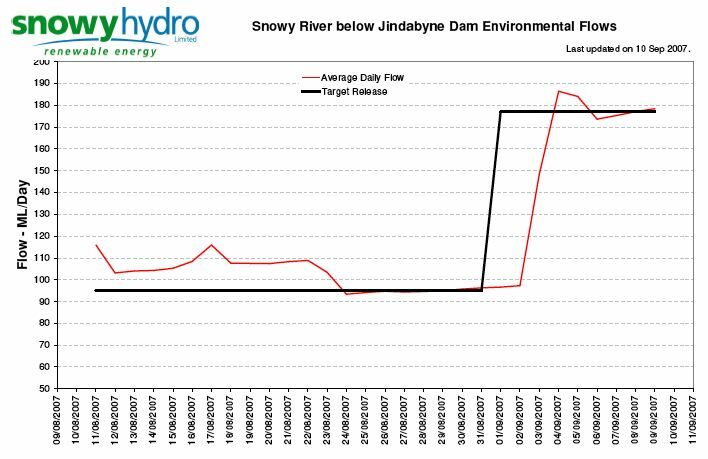 The decision to enforce trade restrictions came after routine monitoring showed a drop in water levels in parts of the system. Whilst groundwater levels were starting to decline, the number of people wanting to buy groundwater has increased, placing the system at risk of being over-pumped. Over-pumping a groundwater system threatens the community, industry and environment alike by taking out more water than what was sustainable. This was why the Department of Water and Energy have had to restrict trade into parts of the groundwater system in this area; however, licensed users can still trade water out. The Howard Government was facing a revolt from Victoria over a radical plan to take water from irrigators to keep in reserve for South Australia next year, wrote Jewel Topsfield in The Age (20/9/2007, p.6). “Outrageous”: Sunraysia Irrigators Council chair Danny Lee said the plan was outrageous because it was doubtful that many irrigators would survive the drought. Irrigators in Victoria’s Murray irrigation system have been ensured only 10 per cent of their water allocations – their lowest ever start to a season. According to Sonya Neufeld, in The Canberra Times, (25/09/2007, p.1), Canberrans were being urged to be prepared for up to 100 severe storms, which could include driving hail, cause flash flooding and would have enough force to lift roofs. Treasurer and Minister for the Hunter Michael Costa said in the NSW Legislative Assembly on 18/6/07 that the devastating floods in the Hunter and the Central Coast were a grim reminder of how much we relied on our emergency services in times of natural disaster and other major emergencies. Businesses were very aware that a deteriorating physical environment was not conducive to growth, said Clover Moore, the Member for Sydney, in the NSW Legislative Assembly on 27 June 2007. A corporation with a “substantial share” of a market would now be liable for a financial penalty of $10 million or 10 per cent of its annual turnover (if that is greater), if that corporation supplied goods or services for a sustained period at a below-cost price for a purpose such as substantially damaging a competitor or preventing entry by another person into a market, reported The Australian Financial Review, (28/09/2007, p.79), quoting Peter Armitage, Practice head, competition and consumer protection, Blake Dawson Waldron, Sydney, NSW. 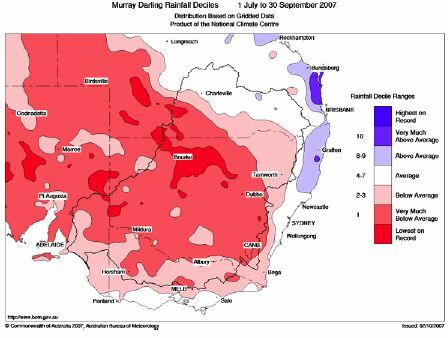 According to Alexandria Smith, in The Sydney Morning Herald, (28/09/2007, p.5), towns along the Murrumbidgee River could be forced back on to greater water restrictions as the NSW Government was considering diverting supplies from the river to the Murray-Darling Basin, which could run out of water in just six weeks. In a majority decision, the High Court found that the Baxter Healthcare group was not entitled to the shield of the Crown over ACCC allegations that intravenous solution supply contracts between Baxter and the governments of NSW, South Australia, Western Australia and Queensland breached sections 46 and 47 of the Trade Practices Act, which prohibited misuse of market power and exclusive dealing, reported Malcom Maiden in The Age (30/8/2007, p.8). Crane Group was expecting its move away from the residential plumbing sector towards services to large-scale water infrastructure projects would help it deliver a profit improvement this financial year despite persistent headwinds in some markets, reported The Australian Financial Review (14/8/2007, p. 18).